On Wednesday, February 1, the Illinois Restaurant Association will host its Annual Meeting and Luncheon welcoming Jim Kallas, Division President at Eurest, as Chairman of the Board. A Chicago-native, Kallas has been working in the industry since high school and is passionate about the success of the industry. We sat down with Jim to learn more about his upbringing, career path and goals for the future. Tell us a little bit about your history. Our family immigrated to South Chicago in the early 20th century and my parents lived in Historic Pullman (it wasn’t historic then) when I was born. We lived in Roseland during my formative years. After high school I graduated from the original Washburne Culinary School at 31st and Kedzie (as did my wife Rose). We married in 1993 and except for a few years, we have always lived in the Chicago area. Our children George and Sophie were born in 1998 and both attend college, George at Loyola Chicago and Sophie at Carthage College. We love Chicago but also spend as much time at our oceanfront condo in New Smyrna Beach, Florida as we can. I started in the hospitality industry while in high school and after graduating from Washburne worked in clubs and restaurants for a few years before joining Szabo Foodservice. 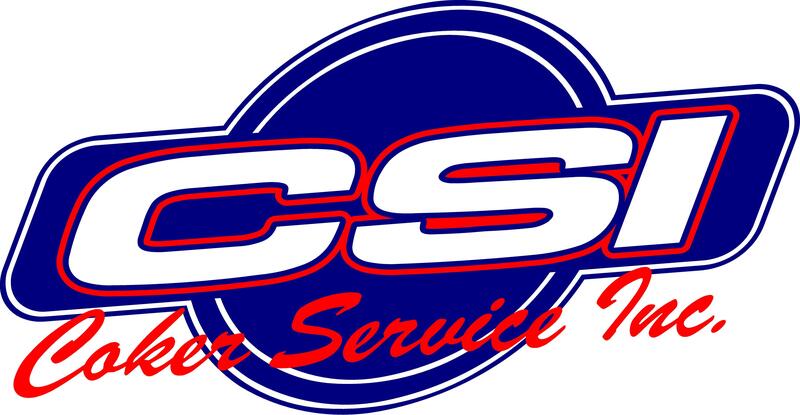 During the 1980’s I lived and worked on Hilton Head Island, first with Sea Pines and then operated CQ’s restaurant in Harbor Town. I moved back to Chicago and joined Canteen and in 1994, Compass Group acquired Canteen. I have been lucky enough to be a part of this great company for 27 years and specifically with Eurest, the business dining division. For the past 15 years I have been the Division President for the Western and Central divisions. We manage staff dining rooms and catering services for most of America’s Fortune 500 companies. My easy answer is luck, but being in the right place at the right time is only part of it. I have always taken complete ownership of my responsibility and I believe that my commitment to succeed in each position led to the next. Do you have any advice for aspiring restaurateurs? Completely understand your business model and although it is important to be optimistic and seize opportunity, take the time to analyze the worst-case scenario and determine if you can withstand the downside. First and foremost, it is attracting and retaining great people. Our business continues to grow at a rapid rate and a committed team is increasingly difficult to develop. Second, in our day-to-day business we need to continue to be creative and “new.” Our industry generally serves the same customers every day and it is easy for our offerings to get stale. What is your biggest reward in working in the industry? Seeing people you have brought into the company succeed; the legacy that you leave is successful continuity. What are you excited about this year? We have reorganized a bit and I have more time to spend in Chicago, which allows me to spend more time with my family and become more involved in the community. My new role as Chairman with the IRA is a perfect example of something I have previously been unable to commit to because time constraints. What would your last meal be and whom would you share it with? Easy!! I’d be with my family and we’d eat my wife Rose’s Roast Chicken and Potatoes. What do you see as being the most valuable resources/service that the IRA provides to its members? Choosing the most valuable is hard because we do so much. If I had to choose one it would be our tireless advocacy and continuous attempts to protect our business in the public sector. Sam, Mary Kay and the entire team do an unbelievable job in keeping our interests top of mind with our elected officials. The IRA produces and supports special events for every palate—whether you are looking to rub elbows with celebrity chefs, connect with leaders in the foodservice industry, or just enjoy the sun and chow down. We look forward to seeing you year-round. We kick off the year with our Annual Meeting and Installation of Officers Luncheon. Industry awards will also be presented for Vendor of the Year, Restaurateur of the Year and Sara Rowe ProStart® Company of the Year. Click here to register today. For the third year in a row, Chicago will host this extraordinary culinary event—the Academy Awards of the food world. Don’t miss out on the after parties at Chicago’s top restaurants after the awards. Stay tuned for additional information! Come out and enjoy bites from more than 60 restaurants in the beautiful July sunshine. Want to vend at Taste of Chicago? Applications for vendors are now available for five-day vendors, pop ups and food trucks. The IRA handles restaurant and beverage operations at Taste, and we look forward to seeing you in Grant Park! At this record sell-out kick-off to Chicago Gourmet, 15 chef participants will serve up mouthwatering burgers and compete for People’s Choice Award and Judge’s Choice Award. 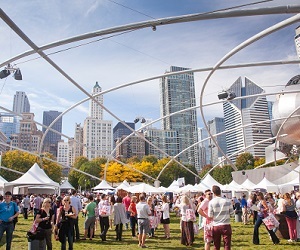 Voted Chicago’s favorite festival by CS Magazine, this IRA signature event, celebrating its 10th Anniversary, includes 200+ chefs, tasting pavilions, chef demos, wine and spirit tastings, book signings and more. Keep your eye out for our spring pre-sale event in April. A night of entertainment and culinary treats, the event showcases some of Chicago’s most renowned restaurants and welcomes over 600 foodservice professionals, all honoring the IRA Educational Foundation and ProStart® programs. For ticketing information or questions about event specifics, please contact Ashley Brandon, Director of Special Events at (312) 380-4133 or abrandon@illinoisrestaurants.org. Lobby Day is an important opportunity to meet face-to-face with your elected officials and discuss legislative issues that impact your business. Lobby Day’s opening session is scheduled to begin at 11:00 a.m. (registration at 10:30 a.m.) on Tuesday, March 7th. After the opening session and luncheon, you will spend the afternoon at the Capitol Complex meeting with members of the Illinois General Assembly. The day will conclude with an evening reception for legislators at The Sangamo Club Ballroom from 5:00 p.m. to 7:00 p.m. Please complete the registration form today and plan on attending 2017 Lobby Day. 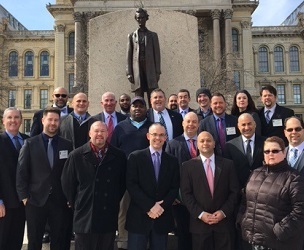 It is important that we have a large delegation of IRA members to meet legislators and educate elected officials about the importance of our industry. Lobby Day is one of the most important things we do as an Association. Everyone is responsible for their own travel plans and hotel accommodations. The Illinois Restaurant Association has reserved a room block at the Abraham Lincoln Springfield DoubleTree Hotel for Monday, March 6th. Single and Double rooms will be available for $112 by calling (866) 788-1860. Please reserve your room as soon as possible to lock in this rate. The Lobby Day registration fee is $100, which is used for the conference room rental, lunch buffet, and cocktail reception. Click here to register today. Please contact Alexandra Newsome at (312) 380-4125 or anewsome@illinoisrestaurants.org. Expansion - Is business booming out your front door? If you need a bigger space or need to hire more employees or fresh talent to keep up, a loan can help you cover the cost of expanding without wiping out your operating budget. Inventory - You already know you have to invest in high-quality products to be able to meet customer demand. A loan can help you keep up with ever-changing trends. Working capital - Cash flow for basic operational needs can be a challenge for restaurant owners. A loan can provide a safety net to keep business afloat during off-peak seasons when profits may suffer. If you think a loan may be right for you, the next step should be evaluating the right loan partner. Small business owners face multiple hurdles securing loans. In fact, only about one in five businesses that apply for a loan from a big bank are approved. However, that doesn’t mean you should take the first offer that comes along. Analyze your project to be sure your profits will exceed the total cost of the loan. Be sure the true cost of the offer and repayment terms aren’t hidden. Many lenders may even modify the terms of the loan midstream. Time is money. Look for quick approvals and faster funding, but be sure not to trade it for higher financing costs. Watch out for quick money with hefty fees. Whatever direction you decide to go, make sure you understand every aspect of the deal. As long as you work with a reputable, trusted partner, you’ll uncover the best option to fit your vision. Contact Angela Ihry to get started today: (605) 940-9861 or angela.ihry@e-hps.com. 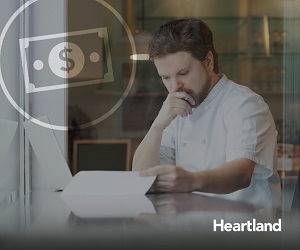 For additional information please visit www.heartlandpaymentsystems.com. Rumi Spice partners with Afghan farmers to bring top-quality, sustainably farmed saffron to customers around the world. Started by a team of US military veterans, Rumi sources saffron from local Afghan farms and employs more than 300 women in Herat, Afghanistan to hand-harvest the delicate crimson stigmas of the flowers. Committed to empowering Afghan women and bolstering the country’s economy, Rumi reinvests back into agricultural and manufacturing infrastructure. They are laying a foundation for peace, one saffron flower at a time. Connecting Afghan farmers with the global market is key to unlocking the economic potential of Afghanistan. 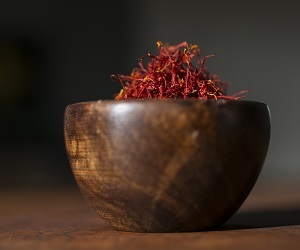 Rumi saffron can be found gracing the kitchens of Michelin-star restaurants around the world and is endorsed by famous chefs including Daniel Boulud, David Bouley, and Carrie Nahabedian. For more information, please visit www.rumispice.com and follow on Facebook and Twitter.